Pine Ridge Estates Florida Homes, Land, Lots, Equestrian Community, Golf Course Country Club Pine Ridge. - Waybright Real Estate Inc.
Pine Ridge Estates in Beverly Hills, Florida is the ideal community for equestrians and nature lovers. Specifically designed to cater to the equestrian lifestyle, Pine Ridge has a number of spacious horse ranches, as well as large lot sizes for future development. Its population in 2000 was about 5,500 people and the median age is 60. Homes are incredible here, modern, lavish, and impeccably maintained. More than 28 miles of riding and hiking trails can be found throughout this upscale community. You would be hard pressed to pass a home in this beautiful area of Citrus County without seeing fences and horses on someone’s property. There are excellent opportunities to take riding lessons from local family owned horse farms where one can learn to gallop, cantor, and jump! Blueberry Hill Farms is close by which holds a large clay riding ring and a complete jump course. 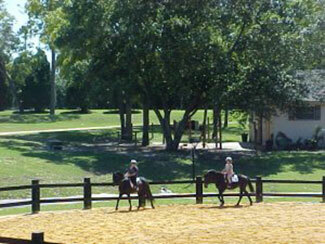 Pine Ridge is about an hour South West of Ocala’s world famous horse country. Pine Ridge Estates has a number of excellent community corrals, paddocks, and a state-of-the-art equestrian center. They have a stable which can accommodate 17 horses, plus a dressage, trail and jump area for the horse lovers living in Pine Ridge Florida. This community is also ideal for the non-equestrians. Because it was designed to maintain as much of the natural environment as possible, the natural vegetation and abundance of pine and oak trees provides residents with a great feeling of security and solitude, refuge in a hectic modern world. For the angler in the family, Pine Ridge has a fishing club. Here is where members listen to guest speakers, participate in fishing contests, go on fishing trips and host social events. They meet at the Pine Ridge Community Center where there is coffee, snacks and fellowship with fellow fishermen. If you have a flyer in the family or someone who wants to be, Pine Ridge has a radio controlled airplane club and there is actually a field in Pine Ridge dedicated to the activity. It’s no cost to participate and the club provides planes and trainers. It’s a wonderful opportunity to commune with people who dream of sailing off into the wild blue yonder. Golf is one of the most popular recreations in the county, and Pine Ridge Estates does not miss out on the opportunity to provide a great golfing experience. 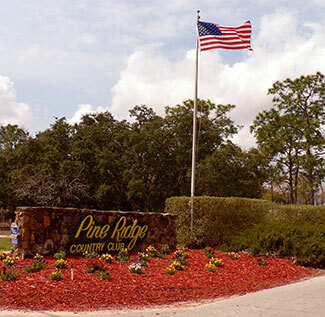 The Pine Ridge Golf & Country Club offers golfers 18 holes on a par 72 course. 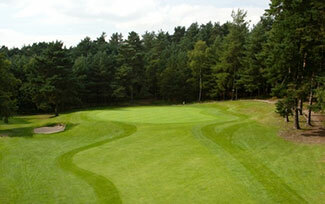 This is true world-class golf with emerald rolling fairways, undulating greens, and fluffy rough. Great dining experiences are only a short drive away in Crystal River and Inverness, its two incorporated towns. Contact Waybright Realty Estate and discover your new home in Pine Ridge Estates today!